A common quest to answer the question “Where’s the beef?” has brought together Jews and Muslims at the University of Southern California (USC). 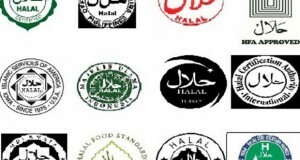 Until recently, junior Mushfiqur Chowdhury was forced to rely on Muslim Student Union (MSU) events or rides from friends to off-campus stores if he wanted to find halal meat. His classmate Daniel Silvermintz more or less abstained from meat altogether, except during Shabbat meals and other kosher events. “I was really eating just dairy every single day — like pasta or caprese sandwiches,” said Silvermintz, a sophomore. Because both students follow dietary laws that have much in common — neither eats pork, and those animals that can be eaten must be slaughtered in a specific manner — mealtime could be a challenge. There is no kosher kitchen on USC’s campus, and the frozen, pre-packaged kosher meals available in the cafeteria have left some students wanting. 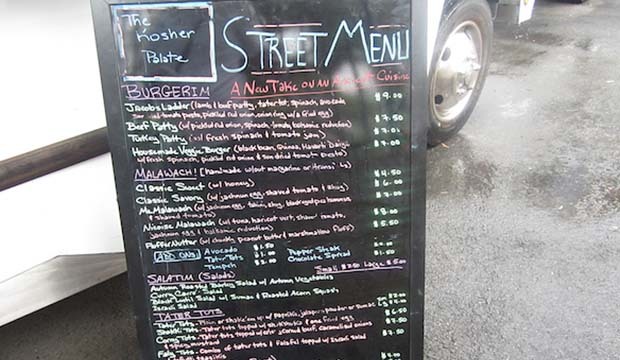 Enter a kosher food truck to the rescue. The Kosher Palate, which provides meals appropriate for Jewish and Muslim students who observe those religions’ respective dietary standards, has been offering reliable lunches for students since the fall. According to Rabbi Dov Wagner of USC’s Chabad, which offers nightly meals, The Kosher Palate is a much-needed resource for students who only eat kosher or halal meat. He said he and his counterparts at USC Hillel have tried for years to find ways to bring more kosher food to campus. Although the Chabad meals — which the USC Office of Religious Life helps subsidize — have done quite well, the food truck’s prime location and lunch hours allow it to reach many other people, Wagner said. The idea to bring a food truck to campus was floated by Varun Soni, USC’s dean of religious life, and Wagner reached out to The Kosher Palate’s owner, Michele Grant, about coming to campus. During the fall semester, Soni wrote in an e-mail to the Journal, the office of religious life paid The Kosher Palate’s rental costs to the United University Church — which owns the lot on which the food truck parks — to “see if there was enough interest to move forward.” This semester, The Kosher Palate will share the cost with USC. Run by Grant, a former partner in the popular Grilled Cheese Truck, The Kosher Palate started parking at USC in early October and now sets up at the corner of Jefferson Boulevard and Hoover Street on Tuesdays (11 a.m. to 2 p.m.) and Wednesdays (11 a.m. to 5 p.m.). Engie Salama, a USC junior and MSU’s president, said that when the food truck concept was still just an idea, she met with Soni and Silvermintz, the student board president at Chabad. “It’s a great opportunity for the Muslims and the Jewish students on campus to come together and unite on something,” Salama said. Before the kosher meals on wheels came to campus, Chowdhury sometimes bought the frozen kosher meals from the cafeteria. Bringing them back to his dorm to heat them up in a microwave, though, was an inconvenience. Silvermintz, too, didn’t have the kindest words to say about the frozen meals, which he compared to airplane food. “Right now, it’s a blessing that we have the truck,” Chowdhury said. He added that he hopes Los Angeles’ downtown kosher food cart The Holy Grill makes another appearance at USC after a brief visit in September. One of the cart’s two owners, Adiel Nahmias, said that returning to USC, for good, is something he is considering.